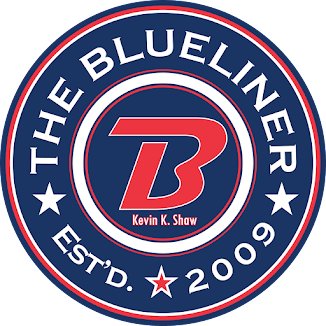 The Blueliner: You wanna know what grinds my gears? - You wanna know what grinds my gears? "Fans" who ever so constantly take it upon themselves to get players to not want to play here. Example: Colten Teubert DOES NOT deserve all of the crap that is hurled his way..... I'm not saying that he wants to leave but in all honesty if I was in his shoes, I would want out..... But back on point - He is a 1st round NHL pick and a World Junior Gold Medalist. Enough said. - You wanna know what grinds my gears? People who get up or sit down during the play to obstruct peoples' views. Such dumb dumbs. - You wanna know what grinds my gears? People that think they know EVERYTHING about hockey and constantly yell out for penalty calls that were not penalties or call for off sides when the player were clearly onside. I have one guy in my section that my buddy and I call "Mr. Obvious" and he does such things. His best is when the puck hits the post and he will holler "Oh that just the post" or something along those lines. - You wanna know what grinds my gears? How people talk and talk and talk during the game.... during the play! And what they are talking about has nothing to do with the game. - You wanna know what grinds my gears? The "bus driver" guy in my section. Any time that he feels that there is a call (or 2) that goes against the Pats that he doesn't think that are legit he hollers "Bus Driver" at the ref or refs. This happens frequently. - You wanna know what grinds my gears? People who holler "shoot" at every chance they get during a Pats PP even though there is no shooting lanes or no true opportunities. People you have to realize that 99.9% of teams have a PP that they try to operate and they can't shoot every time. I'm glad they aren't the coaches. - You wanna know what grinds my gears? People on other blog’s with their comments regarding Linden Rowat. People need to smarten up! Rowat was a darn good goalie while wearing the red, white and blue. He played 183 regular season games with the Pats and has a career 2.90 GAA. Okay I do agree that he was no Josh Harding but last year ANYONE playing net would have looked “normal” (I still call last year a write-off). I may not give Rowat a standing ovation but I do appreciate what he did for the Pats and as far as I am concerned he was one of the top netminders I have seen wear a Pats uniform. I definitely have more but I think I will end there. Kevin - I know that there are alot more: You want to know what grinds my gears, Kevin. What you have added here is goood. I can still remember some old ones. family guy kind of grinds my gears...but thats neither here nor there. Everybody has to deal with stupid fans. Every section has them, and every team has them(though I cant imagine many teams being worse than Regina in that reguard...lots of weirdos at these games). Obviously players shouldnt listen to these mouthbreathers, and shoot on the powerplay when they are in the neutral zone...or at an impossible angle, and of course Teubert isnt the cause of everything wrong like some people think....though that bus driver guy sounds bad. Sometimes telling them to shut their mouths works, it sounds too simple but its tried, tested and true on my end :). Theres lots of GM wannabes sit in my section. Most are completely clueless about everything and not afraid to show it, while others are just loud and over critical. I might look into changing seats, it sometimes gets pretty retarded. But thats all peanuts compared to the on ice product. I still find myself disagreeing with the new way the pats do things...and Im even more displeased about the officiating, which was pretty one sided against Calgary. The fact that we expect that is the problem in itself. Hopefully theres a line brawl tonight again, usually have something like that at kamloops games.